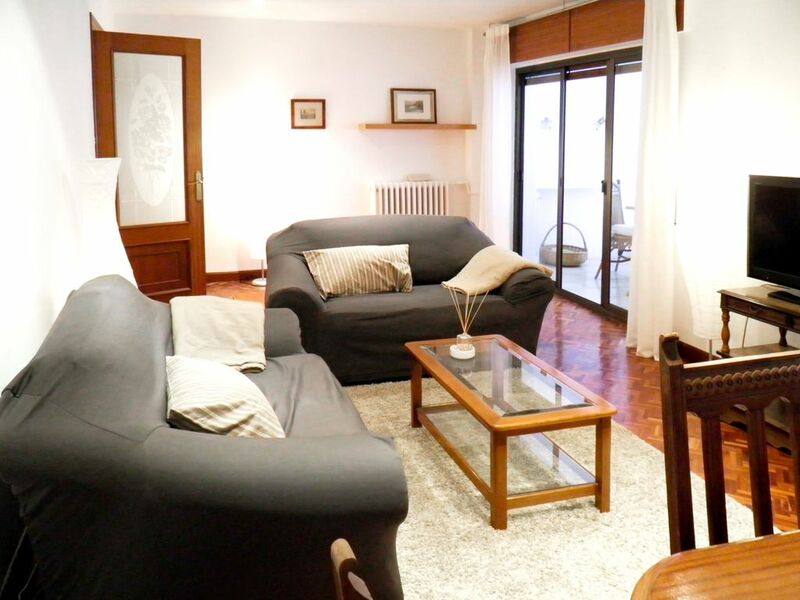 This apartment, located in León, is ideal for 4 vacationers. It offers 2 bedrooms. The lounge is perfect for unwinding after a day of exploration. Curl up on the comfortable sofa and enjoy a good book or take advantage of the amenities on offer, including a CD player and a radio. The kitchen is well-equipped for cooking up your favorite meals. Enjoy your feast around the dining table which seats 6. The apartment has 2 comfortable bedrooms, 1 including a double bed and 1 including a sofa bed. The bathroom is fitted with a shower and a toilet. The apartment features cleaning products, a vacuum cleaner, central heating, a desk, a washing machine and ironing equipment. Parking is available onsite. Smoking is not allowed inside. Pets are not allowed. Parties are not allowed. The property offers a lot of space and comfort.. The dining room and terrace are particularly well furnished. The main bedroom is very comfortable but the second bedroom lacks privacy. Very clean and well equipped kitchen. Within waking distance from shops and the centre. This apartment enjoys a privileged location that will allow you to enjoy your stay in the area. Many activities await you in the surroundings, such as Cycling, Hiking, Mountain biking and Mountaineering. You will also find great bars and restaurants at 500 m and a supermarket within 200 m. San Isidro y Pajares slopes are 55 km away from the apartment. León Club de Golf and Golf el Cueto golf course is 15 km away from the apartment.